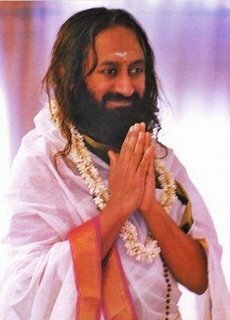 Gurudev, is it destiny or our actions that decides our future? I have heard many times that whatever is going to happen is already pre-decided. Is it true? If that is so, then we should not be made responsible for our good and bad actions. I have been confused about all this for a very long time. Please help me understand this. This is a very deep subject. If everything was already predestined, then what is the need to do anything? Then doing Sadhana, chanting mantras or offering worship to God would all be useless activities. See, when it comes to animals and other living creatures, then everything is indeed pre-decided (by Nature). But in the case of human beings, some things are predestined by destiny, but there is some freedom of choice too. You are gifted with Viveka (discretion) to distinguish between right and wrong. See, birds and animals do not acquire the fruits (merits or sins) of their actions, since all their actions and activities are programmed in their DNA itself. But in the case of human beings, you have the freedom to choose how to act, and you also have the ability to distinguish one thing from another. So you can change the way things happen as per your wish, that is why human life is well suited for attaining liberation. So, despite things being predestined in life, you have the ability and free choice to either endure what happens, or change whatever happens in life. Human life is a mixture of things that are predestined, and free will. 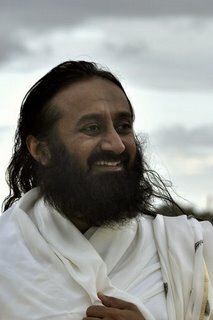 Gurudev, please elaborate upon the contradictory nature of truth. If you go to any temple in India, not only will you see idols of Gods and Goddesses, but you will also see the idols of many demons (representing negativity and delusion). Gods and Goddesses acquired their position because they were able to overcome these demons. If there were no demons, then how will they acquire their position? So whatever you find contradictory in nature are actually complimentary to each other. Take milk for example, is milk good or bad? If you drink only as much milk as is needed, then it is good for you. But if you drink too much, then the same milk can cause indigestion also. So when taken in excess, the same milk can harm you. In the same way, is poison good or bad? All medicines and life-saving drugs have a warning label written on them that says, if taken in excess they are poisonous. So poison can help in saving life, and it can also take one’s life. That is why it is said that these aspects of Nature may appear to be contradictory, but in reality they are actually complimentary to each other. When you go deeper in knowledge then you will realize this. A hero in a movie has some importance only when there is a villain also. If there is no villain in the movie, then the hero has no job, except to eat and sleep. When there is some mischief or some conflict that the villain creates, then all the talents and skills of the hero blossom and become evident. Gurudev, what is a Kundli (a person’s astrological chart), and are all the things written in the Kundli true? My mother-in-law says that according to her Kundli she will take Sanyas when she is 50 years old. So will she leave us when that happens? No, there is nothing like that. Astrologers say many things at times. Like I just explained, the Kundli simply gives you pointers or indications as to how things would happen. Take your mother-in-law for instance, it says that she will attain dispassion after the age of 50. But that does not mean that she will abandon her family and become a recluse. If she continues to do her sadhana and meditation, then she will be able to fulfil all her family responsibilities and at the same time also continue to move forward on the spiritual path. This is what you should understand. You should not bother too much about all these things. May be you trouble her a lot, that is why she must have said this thing (laughter). 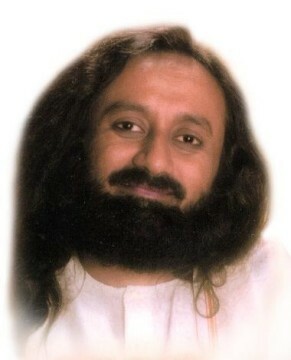 Gurudev, I have been very regular with my sadhana, seva and satsang for many years now. Despite this, I have been going through financial difficulties for the past three years and am very disturbed. Please advise. Everything will be alright in time. There may be some delay but it will surely happen. These difficulties will not last for long. See, the entire country is going through financial trouble. Our industrialists have been facing various financial difficulties for many years now. Our growth rate has fallen from 12% to -2.5%. What else can you expect when this happens? There will be financial troubles everywhere, people will suffer losses in business; these things will happen. But all this is going to change very soon. Have faith and patience. Gurudev, we have a tradition of donating a person’s valuables after they die. Some people are able to do this and some cannot. How relevant is this in Hinduism? See, many priests nowadays exploit the sentiments of people in this way to make money. If you go to Haridwar or Kashi, the priests in the temples force you to make donations. They make you feel so guilty, or they induce a sort of culprit-consciousness in you. Do not listen to what they say. You do what you feel is right. They may ask you to donate a cow or some money. You do what you can and as per your faith. Do not blindly follow what a priest tells you.